We are dedicated to providing you with the tools needed to make informed decisions.  CoreScreening is dedicated to helping you protect your organization as well as your applicant’s rights. As part of this commitment, we offer complimentary compliance review services to our clients that will help you safely navigate the legal hazards hidden within the background screening process. Screening Process Review – To ensure you remain in compliance with EEOC on the use of criminal background screening. As part of this review, we will look at each position and ensure the screening process that is put into place is relevant to their position. Form Updates—We will review all your existing forms to ensure you have the most recent version from the FCRA as well as provide you with access to our standard consent forms, pre-adverse and adverse action notifications. Adverse Action Process Automation—We offer an automated solution for the required FCRA Adverse/Pre-Adverse Action process to ensure you are consistently delivering the proper notifications to candidates who may not qualify for a position based on the results of their background and/or drug screening results. Ban the Box—We stay up to speed with the current cities and states requiring you ban the box from your applications. Navigation – We help you navigate the maze of background and drug screening. States laws around the country differ in their allowances of the number of years convictions, misdemeanors as well as arrest records that can be reported. Some states forbid certain reporting for employment screening purposes. We will help you navigate these laws and ensure you receive the most comprehensive background checks available. We also offer specialized solutions for nationwide drug screening compliance. Please contact a CoreScreening specialist for more details. PII Protection – We take protecting PII and providing individuals with the resources necessary to protect themselves seriously and so should you. As part of this commitment, we will provide you with the tools to help ensure that protected information is not inappropriately shared within your organization.